KUALA LUMPUR: Police will never close the files on the murder of Nurin Jazlin Jazimin in 2007 and the abduction of Sharlinie Mohd Nashar last year. “We have never closed old cases until they are considered completed. This means we will continue looking for the suspects and finding new leads,” Selangor police chief Deputy Commissioner Datuk Khalid Abu Bakar said during a meet-the-residents session at Taman Muda, Ampang yesterday. 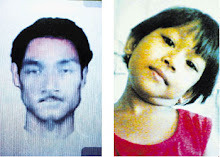 Nurin was reported missing while on her way to the night market near her house in Section 1, Wangsa Maju on Aug 20, 2007. Her naked body was found stuffed in a sports bag and left in the stairwell of a shoplot in Petaling Jaya a month later. 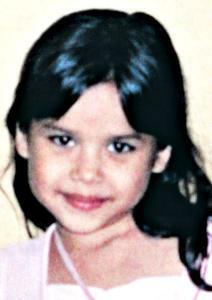 Five-year-old Sharlinie was reported missing while playing outside her house in Taman Medan on Jan 9, 2008, not far from where Nurin’s body was found. Both the high-profile cases are believed to be linked to the Kampung Baru molester. DCP Khalid said police needed time to gather additional information and details to complete their investigations in certain cases. “Not all cases can be completed quickly because in some we need extra and more detailed information,” he said.